Edward joined Whitelaw Twining as an associate in 2018. He has a broad litigation practice and is developing an expertise in construction and commercial litigation as well as insurance matters. Edward is a passionate advocate for his clients, and has appeared before the B.C. Provincial Court, B.C. Supreme Court and Court of Appeal. 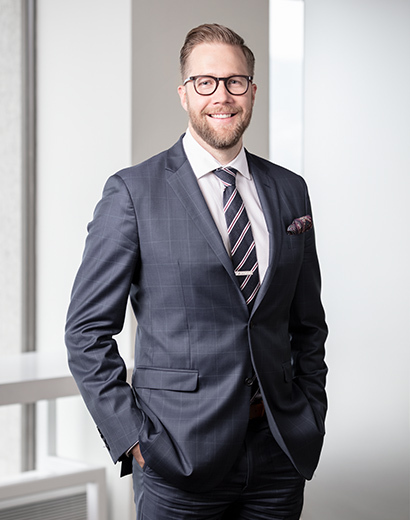 Prior to attending law school, Edward was a member of the legal teams on large and complex commercial litigation and class actions matters as a paralegal and law student. He also worked as a software developer and designed custom database management software and mobile apps. He has used his IT experience to assist with e-discovery and large document productions in complex litigation. During law school, Edward earned dean’s course prizes in torts and corporate governance. When not at work, Edward enjoys competitive cycling. Before taking up cycling, Edward competed for many years on the Volleyball B.C. Beach Volleyball Pro Tour.